No shiney finishes are applied and all the work is by hand in her little West Berks workshop. Everyone would love a shelf like this as a gift: from a godparent to a godchild, husband to wife, wife to husband. Who doesn't need a shelf and why shouldn't it be as beautiful as it could be! Crafted in Marnie's furniture workshops by selected craftspeople, Marnie wanted to make very special and unique, English goods. 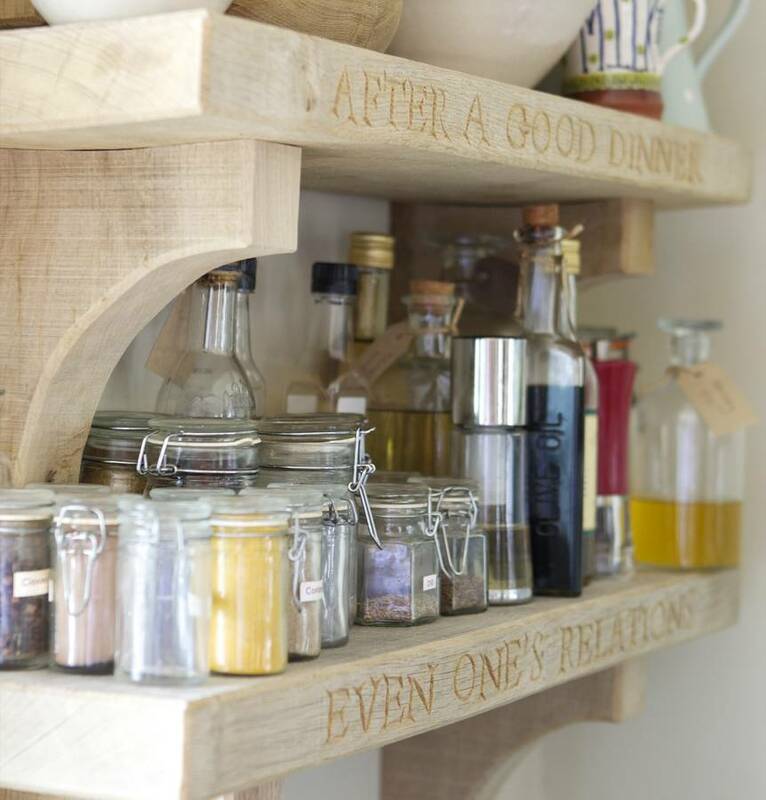 Marnie's green oak shelves are made to order and are intended to be personlised. English grown unseasoned oak. They need minimal attentiion, yet would benefit from a wipe over with a damp cloth or an annual scrub down. 2" thick 9.5" deep and length not to exceed 5ft.